Right, okay, Heavensward. It thoroughly consumed my weekend; I have not played that much of a game at once in years. I’ve spend a lot of the weekend trying to articulate what I like about it so much, but it’s difficult. It’s easier to point at the things that frustrate me (flight, see recent podcast) and the things I find interesting (new class abilities, new mechanics, etc), but those aren’t the heart and soul of Heavensward for me. I can finally articulate what’s going on with Final Fantasy XIV and its expansion that is so compelling, and perhaps ironically, I needed Archeage to put it into perspective. Let me take a few steps back. Two years ago, I was looking into FF14 for the second time. I’d jumped into the beta of the original release and it was frankly awful– so bad I gave it less than my usual ten-hour chance and bailed. I put it firmly out of my mind and moved on. When the re-release came out, I was intrigued. This was a fatally doomed game that had had a legendarily bad release, and Square-Enix, in the throes of what I felt like were some immensely disappointing entries into its flagship series, had decided beyond reason to pour more money into this sinking ship. It felt like throwing good money after bad in the worst way, and I wanted to see what was up. I know a number of people who jumped into the beta at the same time I did, many of whom had starkly poorer experiences with it than I did. I was able to get to level 13 or 14, not quite high enough to see the first instance, but enough to see some class mechanics and some storytelling. The game was, essentially, World of Warcraft. Same “go here, click this” quests, same “kill things here” quests, and a few semi-interesting new mechanics from other games. FATEs were public quests from Warhammer Online, which are now ubiquitous, there were a few other little details (like the Hunt Log and the class system) that I thought were interesting additions, but all in all it was pretty standard fare. A good many people I know picked up the beta or even the live game, gave it a week or so, and left, not seeing what the fuss was about. I didn’t leave the game with a sense that I was about to play The Next Big Thing– certainly what I experienced wasn’t that, not initially. Instead, what captured me was the potential. I saw standard MMO quests, sure, but delivered with astoundingly thorough attention to detail. Animations were crisp and satisfying, the music was amazing, effects screamed Final Fantasy; down to the very smallest details the game felt like a Final Fantasy game– the exact Final Fantasy game I’d been missing for years. 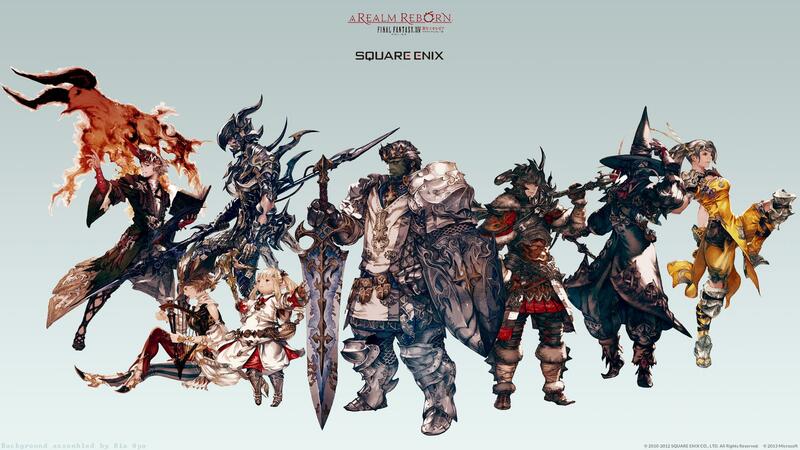 I’ve said on a number of occasions that the MMO is the evolution of the JRPG in a lot of ways, and FFXIV felt like a confirmation of that belief. MMOs are hard to judge. They’re slow burns, not quick flashes. I’m immediately suspicious of any MMO that shows me flash and bang and fancy things in the first few hours of gameplay. They ultimately tend to disappoint me. 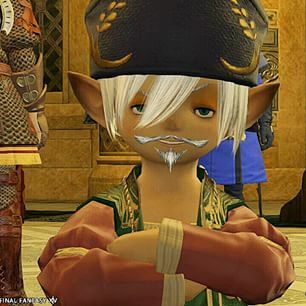 FFXIV is a slow starter– you’re doing frankly menial work and have little sense of where you fit into the world, and while you have a couple of interesting encounters, the whole thing feels very small, like you don’t really matter much in the scheme of things. Sure, maybe you helped this miner out, but you aren’t a hero, at least not for more than a day. Flash forward thirty levels. You’ve done some notable things, fought powerful beings and have a more solid place in the world, as part of a secretive organization dedicated to dealing with the aforementioned powerful beings. You’ve built this up over thirty levels; you’re still not a fantastic hero, but you have the respect of a few, and you’ve got a valuable role. The burn continues, slowly. At about this point, you’re resolving your class story, the mini-arc that encompasses the class you chose to play, versus the overarching story of the game. A new “job” story picks up, bringing you a new story to go with your expanded power. These are bigger, and feel more important than what you were doing before. You’re still not a hero, but you can start to see the path. Flash forward to level 50. You are an accomplished powerful-being-hunter and have almost singlehandedly put an end to a major, nation-threatening event. You are a Big Damn Hero, and the credits roll, and you continue going off to do Big Damn Hero things that no one else would even consider. At some point, the main storyline picks back up, and I want to break here for emphasis. You are an immensely powerful individual, you have seen the credits roll, and when you come back for more story, the game absolutely respects that and moves forward with it. The only people who ask you to do menial tasks are people who have no idea who you are, and they’re often horrified when they find out. Alternately, some people who DO know who you are ask you for menial things, but apologize for taking up your valuable time. It’s a small detail, but it keeps those sidequests functional without insulting you. MMOs are a slow burn, but so many of them try to tell you flash-in-the-pan stories. You get a start, a brief arc, and a resolution all in one play session, then move onto the next thing. You move through space and the game moves with you– don’t bother with that old zone, it’s not important anymore, that’s Old News. Play this new zone, the one appropriate to your level, because those are the stories that matter. FFXIV doesn’t do this. It cheerfully sends you back to old zones, to do things that are appropriate to those areas. It does a lot of instanced story encounters or simply encounters that are spawned as you enter an area, appropriate to your level even if the zone itself isn’t. You revisit places and they stick in your mind, they aren’t zones you pass through and forget. By the time you’ve finished the main storyline, you’ve returned to basically every zone, often multiple times. 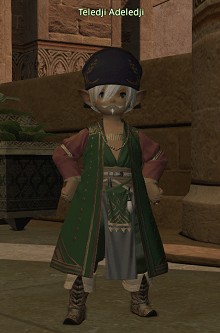 FFXIV is 100% dedicated to keeping its older content relevant. I mentioned thorough attention to detail here, and I’d like to point out the sort of thing I mean. 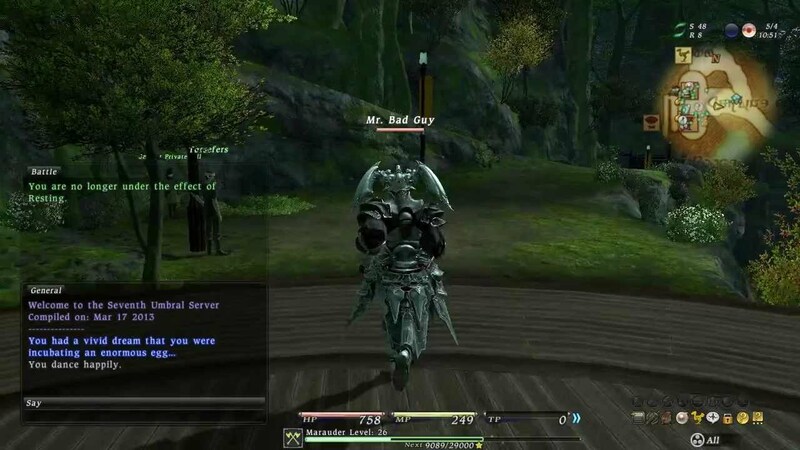 In many MMOs, once you’ve outleveled a dungeon you will never see the inside of it again, unless you’re powering through it with low-level friends to get them through. FFXIV gates content behind group dungeons, which many people balk at. What it also does is heavily incentivize players to play through those dungeons multiple times. 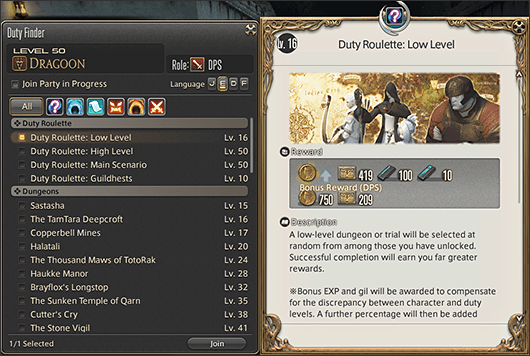 It has a roulette system, where you get heavily rewarded for signing up for a random dungeon within certain groupings. Its dungeons scale you down to their level, and you play alongside other players of the appropriate level for the dungeon– giving everyone an experience that’s very much the way the dungeon was intended to be run. As a result, the gated content is rarely overly onerous to get past. 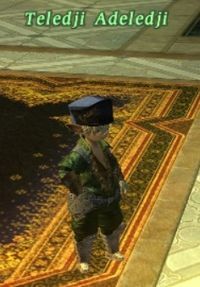 The lower-level players who need a specific dungeon will queue up for the dungeon they need, and they’ll often be matched with higher level players who are willing to do any random dungeon for rewards. This is compounded by the fact that if you do a dungeon with a player who’s never done it before, you get a huge bonus, and if you queue up in a role that’s in short supply, you get even more rewards. It’s a highly effective bribe that draws experienced players back to help newer players, but it keeps everything relevant. New “hard mode” dungeons continue the story of the previous dungeons, continuing that thread. All of these little things add up, and the story leans on this. It knows you have to have done certain things to have reached this point, and it happily references them. You’ve built up your reputation over hours of gameplay, and the story respects that. In a lot of ways, the main story pre-50 is a story about becoming a super badass who can, essentially, punch any problem to death. The content post-50 takes a different look at things– sure, you’re an unstoppable badass, but what can you do about income inequality in a major city? Can you feed thousands of hungry people? Can you delicately negotiate a political minefield? Your previous punch-everything approach sealed your reputation, but then the game introduces problems that can’t be solved by punching, and makes you an important part of things. There are still problems that need badassery to solve, and when those come up you are the number one person, but you’re still relevant in a meaningful way… and that reputation isn’t always helpful to you. By the end of the storyline, the pre-expansion patch that was meant to prepare me for what was coming, I was absolutely, utterly pumped. I wanted to get into the expansion to see where the story was going to go, because it left off with me wanting more. It reminds me of a really great TV show. The first season is the 1-50 arc: good, and a complete story on its own (because who knows if we’ll get a second season), and that’s about it. The second season is the post-50 to expansion arc: this is when the chains get taken off and they know they’re going to have an expansion, so the story really gets rolling, giving me plenty of buildup and several small, satisfying arcs, but always teasing a little bit more, right up until the suckerpunch that is the season finale, right before the expansion. The expansion is Season 3, with a little bit of everything. They’re comfortable with their model and they’re making it shine, and it shows. I’ll talk about that more tomorrow; I’ve gone on a while here.